It’s been a while in the making, so I’m very pleased to launch my new workshop experience…. 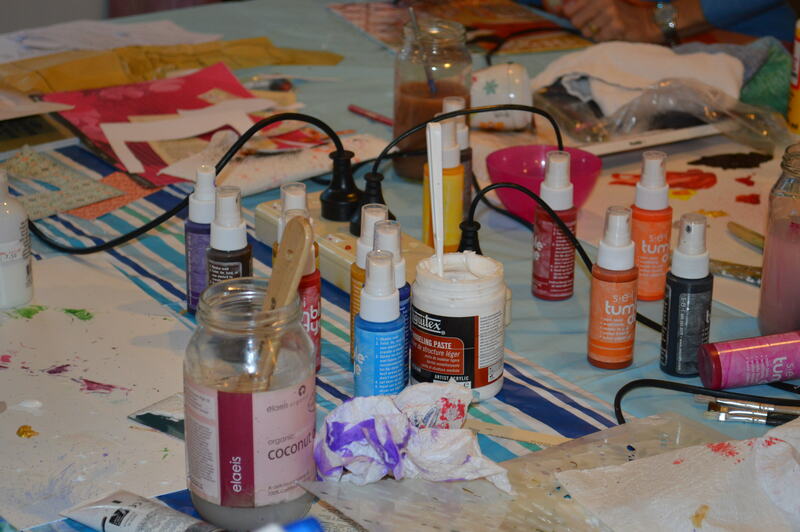 Collage Play is a mixed media workshop for absolute beginners. On the surface? It’s about creating a pretty piece of art for your wall. But really? It’s about expressing yourself, playing with lots of different media and learning some cool techniques. 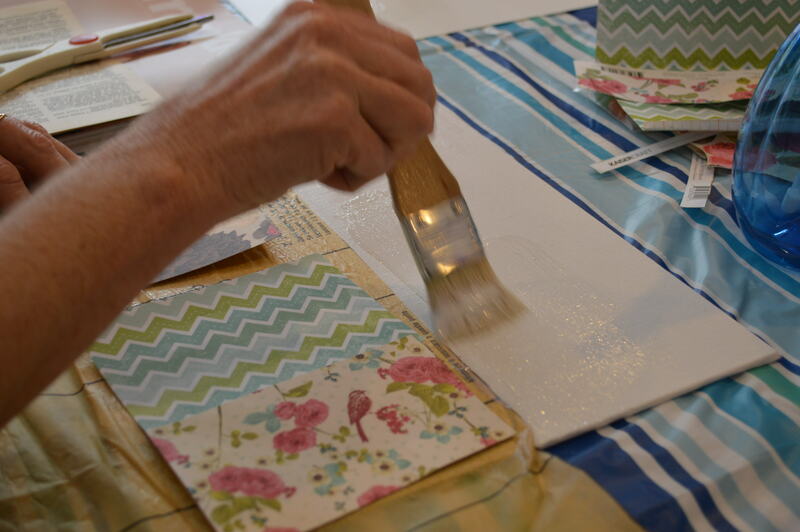 By the end of the workshop, you will understand how to make interesting backgrounds, combine colours and textures, DRAW A SIMPLE FACE and use art mediums with confidence. And best of all, you’ll have the benefit of a small, intimate group of like-minded souls. You’ll arrive with basic tools and leave with a generous kit and enough knowledge to complete more at home. Because the group is small, I can give you lots of guidance and attention and encouragement along the way. 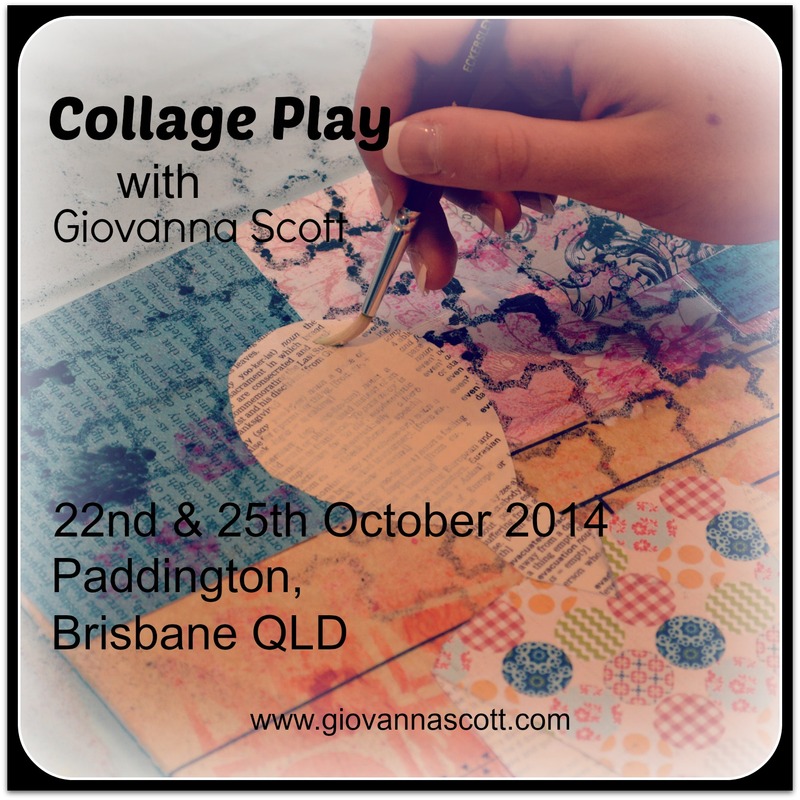 So grab your apron and paintbrushes and get ready to Collage Play! The workshop opens for registration today and numbers are limited. There are 2 sessions to choose from: Wednesday 22nd October or Saturday 25th October. Workshop time: 10am – 1pm (plus cleaning up time). 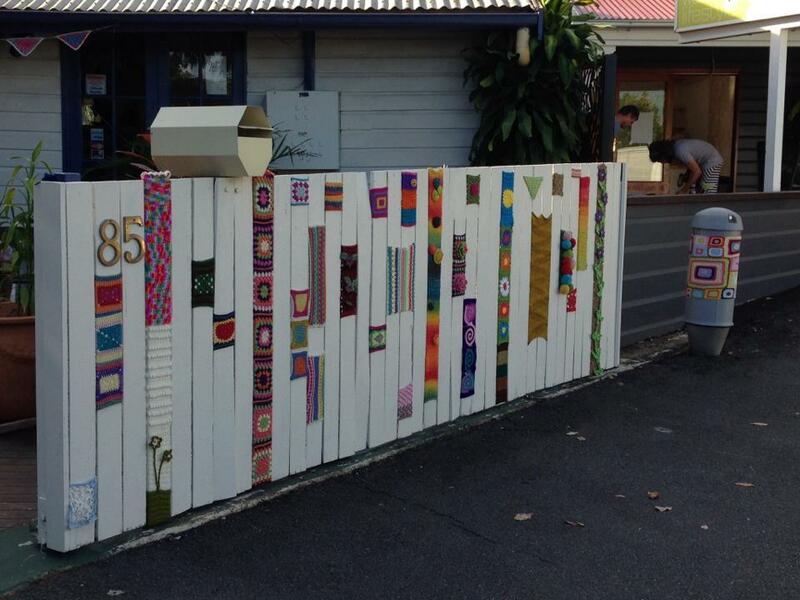 Our venue is the lovely yarn shop Knitch, in Paddington. We have a gorgeous space downstairs to spread out and be messy-creatives without interruption. I hope you can join me. It’s going to be loads of fun! 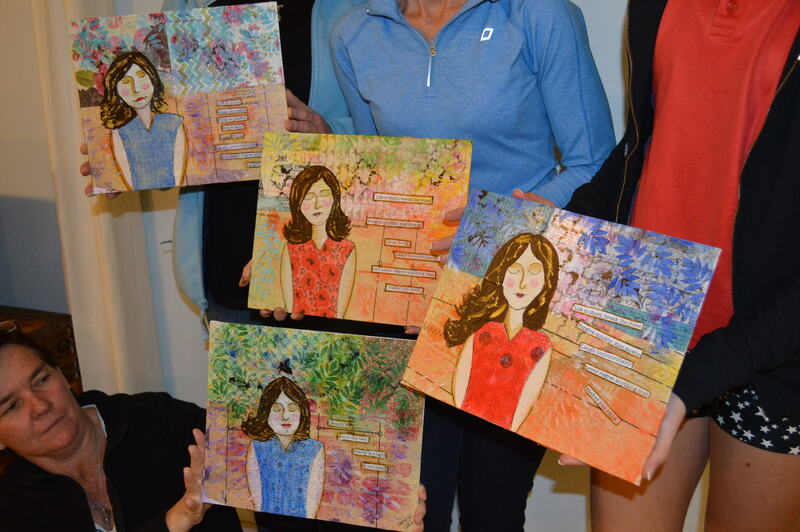 Here’s what past workshop attendees had to say…. Fantastic class. Very relaxed atmosphere, excellent and very patient teacher. Even my daughter was proud of my art work and that takes a lot!!! I look at it now and proudly think “I did that.” I left the class with the confidence that I could do this myself at home. 10/10. Thank you so much – really enjoyed the afternoon. Can’t wait to get all the stuff to create another one (or two) :-). For only $90 you get a generous kit of mixed media goodies, detailed notes to take home, 3+ hours of me tenderly and expertly guiding you through the process and use of lots of extras from my stash. But it’s not just the WHAT, but the HOW AND WHY I use what I use and the know-how that comes from years of making some huuuuge mistakes along the way. 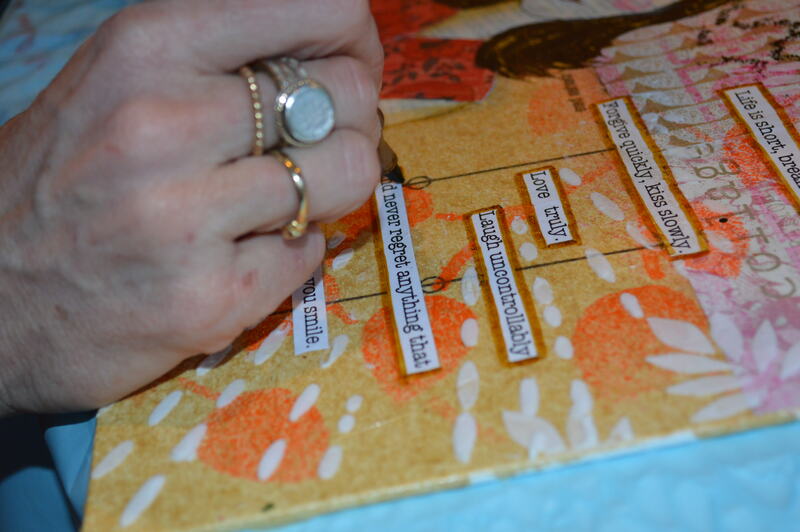 Many have said that mixed media confuses them and it’s not for them. Let me show you how achievable it REALLY IS; de-mystify a few art mediums and teach you how to use what you already have at home. I would love to see you sitting at my table and looking totally satisfied with what you’ve created. 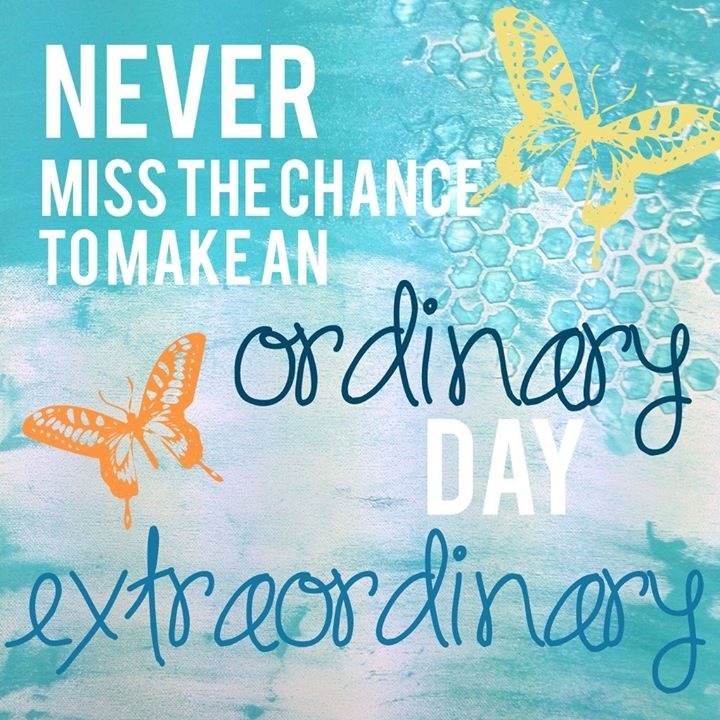 Time to take a chance and show us your Amazingness! Full payment is required and will run on a first-come-first-served basis. A refund will only be given if your spot can be filled. You will need to bring some basic items from home – a full list of supplies will be provided on registration and payment.